Anyway, there ought to be a million stories like Rufus’ but I can’t seem to find them. However, I did find a poem where a kid takes delight in providing the food for a meal. I found it pleasing. Perhaps you will too. Zach Franzen was a kid just like everyone else, only with more Zs in his name than most (2). You can find more of his work online at zachfranzen.com and on Instagram @zachfranzen. This poem makes me smile. 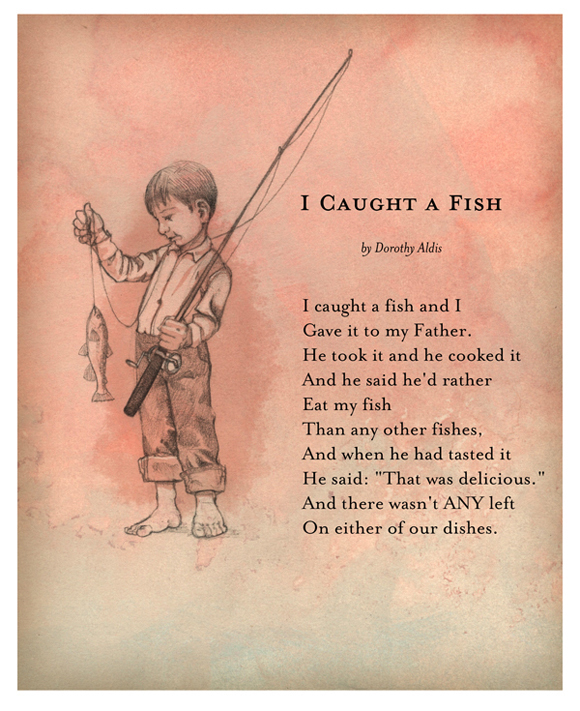 And I love how the first rhyme (Father/rather) only works if you read the poem with a British accent. Yes, I wondered if she was British, and I can’t find out definitely, but it seems that she was an American author. Still, the Father/Rather rhyme might be the type of “society” accent that rich folks had in old movies. One possibility I rah-ther like is that it is the pretense of a boy putting on airs, because by catching dinner he did a very grown-up thing. Zach, have you ever read Leif Enger’s Peace Like a River? It has a chapter that reads very similarly to Rufus’ escapade. Love that book. I hadn’t thought of the connection, but I see what you mean. Peace Like a River and Rufus M. suggest adventures in the context of their respective families. I encounter this type of story less frequently. It might have an innocent explanation–something to do with the fantasy that kids have of testing their mettle outside the safety net of parents, or it might be the more nefarious cultural trend that one finds one’s self through the shedding of obligations.